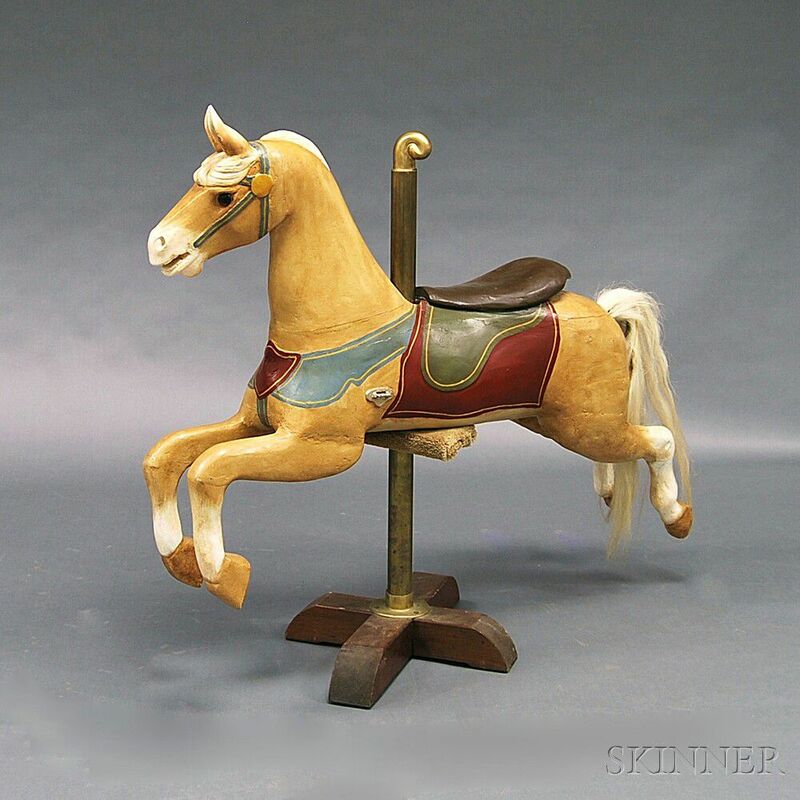 Carved and Painted Jumping Carousel Horse and Stand, attributed to the Herschell-Spillman Co., North Tonawanda, New York, early 20th century, ht. 45 1/2, wd. 52, dp. 9 in.